For those who like to keep it simple, here’s a moccasin loafer with timeless style. Soft croc leather with padded lining wraps completely around the foot for a plush feel. 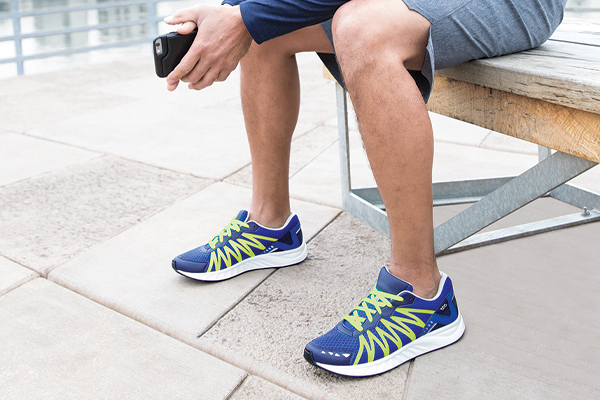 A removable cushioned footbed and a lightweight shock-absorbing sole supports you with every step. Simplify features many beautiful smooth and textured leathers. Designed to follow the shape and natural arches of your foot, Simplify utilizes our comfortable Tripad-Moc™ Technology for extra comfort and support. Simplify provides extra toe room to allow your foot to properly set when walking as well as a soft shock-reducing polyurethane sole for a lighter, cushioned step. SAS Comfort Footbed: Our SAS Super Suede™ is wrapped over a thick shock absorbing cushion in order to provide a comfortable footbed that contours to the foot.